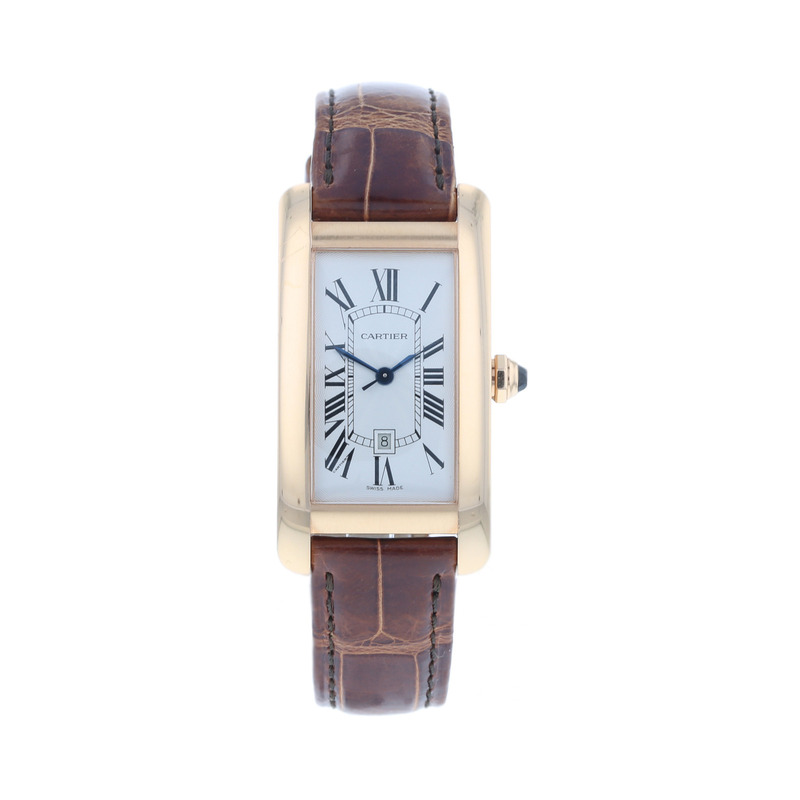 This Pre-Owned Cartier Americaine comes with a rose gold case which houses the white dial and an automatic movement which powers the watch. Attached to the case is the leather bracelet which comes with a Pin clasp for security on the wrist. Pre-Owned Information Condition -Excellent Condition, fully refurbished Warranty - 24 Month Warranty Provided. Packaging - Original Branded Box and Paperwork Not Included This Is an Image of the Actual Watch. Interest Free Credit Options Available.